This page is dedicated to The Sailor’s Revenge, that much loved album by Bap Kennedy (17 Jun 1962-1 Nov 2016). Scroll down to read Bap's notes about the songs & more. The Sailor's Revenge is the outcome of a creative collaboration between Bap and Mark Knopfler - All the songs were written by Bap, but Mark Knopfler was closely involved in every stage of the project from planning the album and choosing songs right through to release, and he produced the album at his London studio, British Grove in 2012. 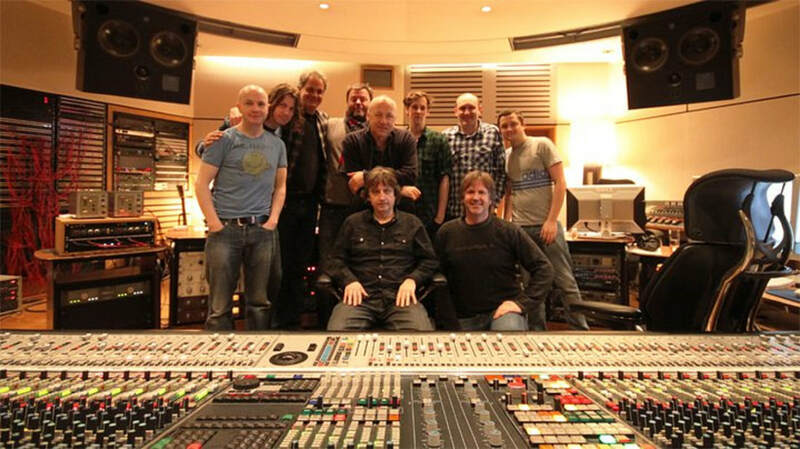 Bap with Mark Knopfler & the team at British Grove Studio, London.